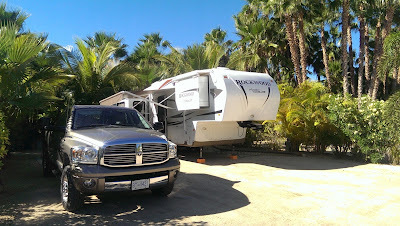 As I am writing this post, we are camped at East Cape RV Park in Los Barriles, BCS, MX. We have had several inquiries about getting info on the Baja Peninsula and also how to stay connected while you are down here. There is an email publication that is sent out just about every day and it is called the Baja Pony Express. Here you can find just about everything that is happening, for sale, for rent, lost and found, events and more. To subscribe to the daily emails follow the directions here. The Baja Pony Express is a free service, and is a really valuable source when spending time down here. Don't leave home without it! 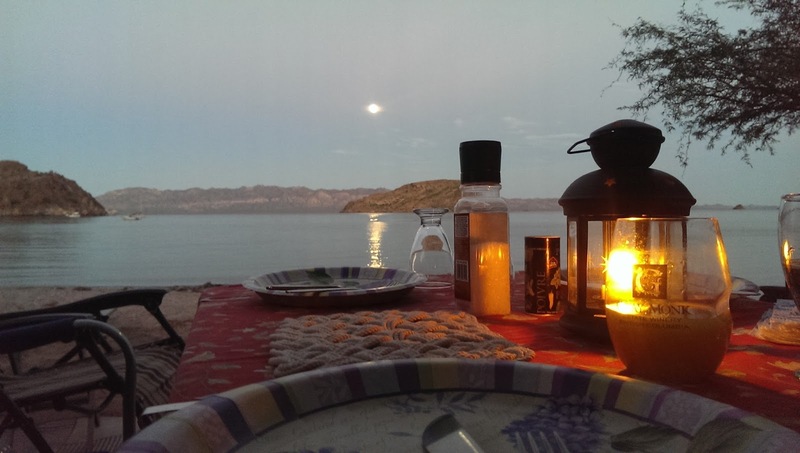 Baja Nomad is a forum where you can post questions, search for answers and more. This is also a valuable source for people that spend lots of time down here. 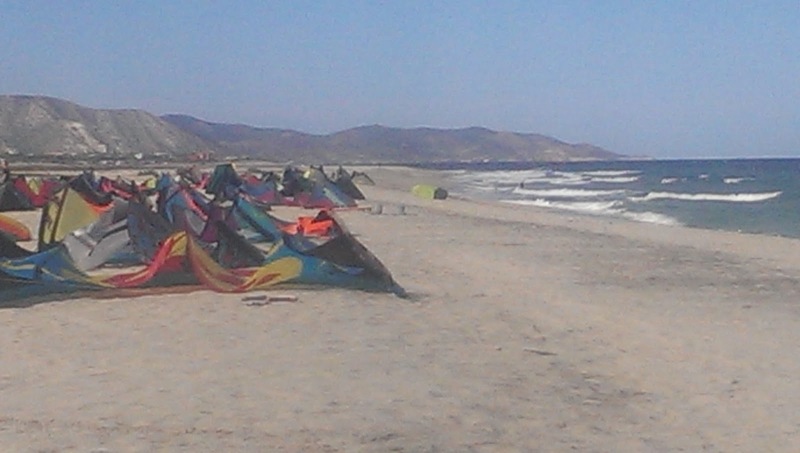 Kites lined up on the beach in Los Barriles waiting for more wind. So how do you stay connected down here. The Canadian and US cell phone carriers are changing their rates fairly often so before you purchase anything else, check and see what kind of deal you can get from your current carrier. What we have done (and many others) is to get your own Mexican phone number. It is not hard at all. Just go to www.MexicoSimCard.com and sign up for the plan that works best for you. The customer support is fantastic, the sim card is mailed or sent by courier to you and once you are in Mexico you just take out your current sim card and install the new one. Follow the prompts and you are up and running in no time. If you have any questions or issues just send and email, and you will have a quick respond. Keep in mind, you will only have cell coverage in populated areas. Something to keep in mind if you are spending lots of time down here, that next time you go to purchase a cell phone, you may want to consider a "dual sim card" smart phone. This way you can have your current number and a new Mexican phone number all at the same time.... pretty cool! Here is a list that is updated regularly about best dual sim phones. At Roammobility the prices are very good. Not just for Mexico but especially for the USA. They have several plans that might be of interest to you at a really good price. Have a look. 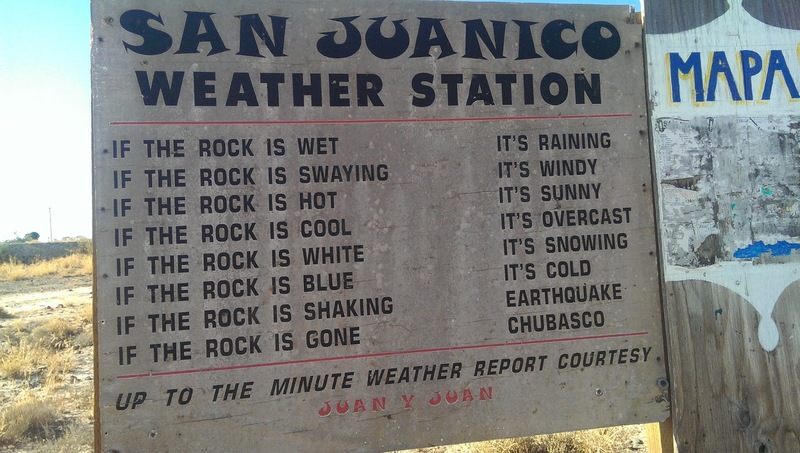 Staying on top of the weather is always important and especially down here in the hurricane season. You can use the regulars weather services like Weather Network, AccuWeather etc. 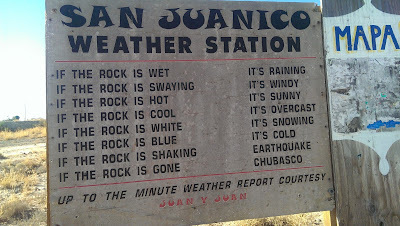 A local site is Baja Weather. It is only for the southern part, Baja California Sur. It is a great site and you can sign up for warnings etc. www.WindFinder.com is also a great site that we use often. Here you get the wind predictions hour by hour and the local forecast. 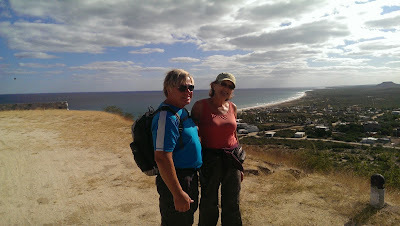 Anders and Liz out for a hike. This time the Box Canyon. When travelling down and into Mexico, you will need insurance for your car, truck, RV, boat etc. You also need a tourist visa or FMM card. If you are planning to do any fishing from a boat, you will need a fishing license. All passengers fishing or not, on boat with fishing gear, must have a fishing license. There are several companies you can look into to help you with the paperwork and information. We are using a travel club called Vagabundos Del Mar. They are very good, and they will look after it all for you. Here is their website and contact info. British Columbia residents please note, the ICBC insurance does not cover you in Mexico. You need in addition a Mexican insurance. 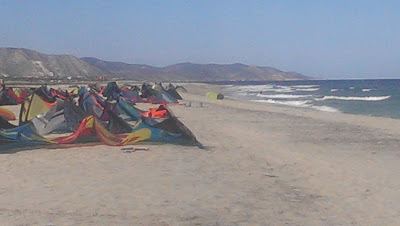 Baja RV Parks is a pdf file with most RV parks from Tijuana to Cabo. This has some great info. Check it out here. Hope this helps. If you have any questions, just contact us.